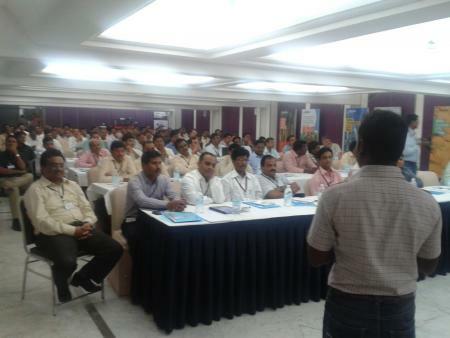 Just yesterday, Raghu and Bhaskar of Seva Café were invited by a large Agri Business Company to address their 150 managers from all over India. On our way to the venue in Baroda, we had the privilege of engaging in conversation with our rental car driver – Narendrabhai. As soon as Raghu and Bhaskar shared the concept of Seva Café with him, you could sense a shift in his approach towards us. A few minutes later, he stops the car for Chai and insists on buying! We drive on and on approaching a toll plaza, immediately our hands reach for our wallets. We were hoping to pay the toll, which in any other situation would have been an expectation from his side. Later that morning, during the talk – the common business term ‘Scalability’ was thrown up. Do we have plans for a 'chain of Seva Cafes?' 'Sure, it would be great', but the example of Narendrabhai was then shared. In a sense, Seva Café had manifested in the car on our way to the talk. What if we looked at Scalability in this manner? – generosity in people’s homes, cars, offices, apartment complexes – there’s no end ofcourse! Can we think of Scalability of generosity instead? Yes Siddarth scalability of generosity is possible everywhere if we have people like you,Raghu,Bhaskar and Narendrabhai and I believe we all have goodness in us and the desire to help others.